My earliest musical memories are of singing in school. I hugely enjoyed this even though I didn’t know I was not singing in tune. Then, like so many of my generation, I learned the recorder. Again I enjoyed this, but I did not start formal piano or trumpet lessons until I was 11 and my love and knowledge of music has been increasing ever since. At secondary school I passed Grade 8 piano with distinction aged 16, played the trumpet in the school orchestra and band and sang in the choir, as well as gaining grade A in A-level Music. After University I worked in IT for just over 20 years. However I was always envious of friends working in music and I realised it was not too late to follow my heart and begin a career in music. I took on a few piano pupils and took the ABRSM Certificate of Teaching course. I have now been teaching for over 7 years and thoroughly enjoy the varied characters of my pupils and their music-making. Though not everyone takes exams, they provide a useful focus and it is always gratifying for us both when someone works hard and does well. 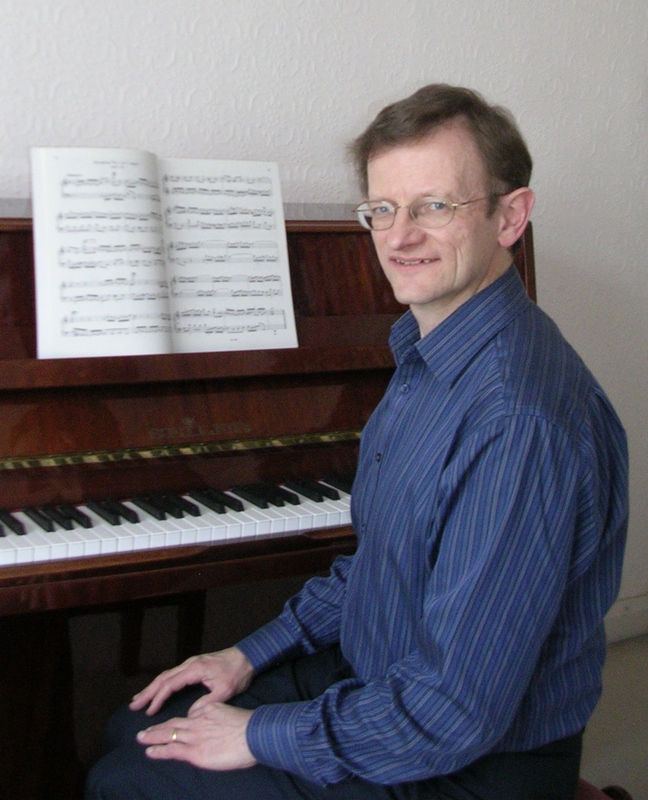 In addition to my teaching, I have been a member of the East of England Singers and Music-for-Everyone (formerly Nottingham Choral Trust) for over 20 years and have played the piano in occasional solo or chamber music items in their concerts. I also sang in the early years of Choros Amici (BBC Choir of the Year 2000). I am organist at Risley Church, accompanist to the Somercotes Choral Society and have worked with the St Peter’s Gilbert and Sullivan Society at Ravenshead. I also regularly accompany instrumental exams. Music gives me enormous pleasure and through it I have met many wonderful people. It can be a joy for life and I am keen to pass this on at any level. Whilst my background, experience and strongest expertise are with classical music, my accompanying work involves other styles and I teach modern jazzy and chart styles as well as classical.